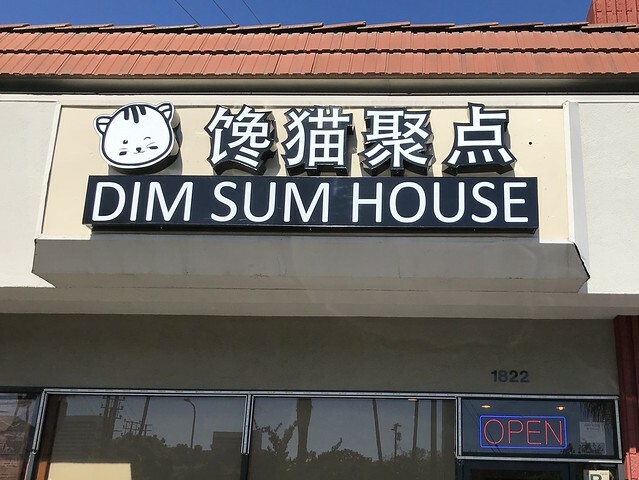 When I heard that Dim Sum House had opened in Westwood, I was in shock. Dim sum? In Westwood? Mandarin Kitchen, my local Chinese restaurant in a mini mall at the corner of Santa Monica and Westwood, had just changed concepts to dim sum served all day. Even more surprising was how many items they have on their menu (over 30), especially since their location is so tiny – maybe 10 tables, at the most. Only about half of their dim sum menu was available on their second day. After being told that some of our choices weren’t available, the waiter finally broke down and told us which ones were. Dishes range in price from $4.99-$6.99, including standards like har gow and char siu bao to steamed chicken feet in black bean sauce (a sign that they are legit and not just after a Western audience). The menu has dim sum and then some, with fried rice, noodles and some entrees. The first item to arrive was the veggie spring rolls, which they had when they were Mandarin Kitchen. 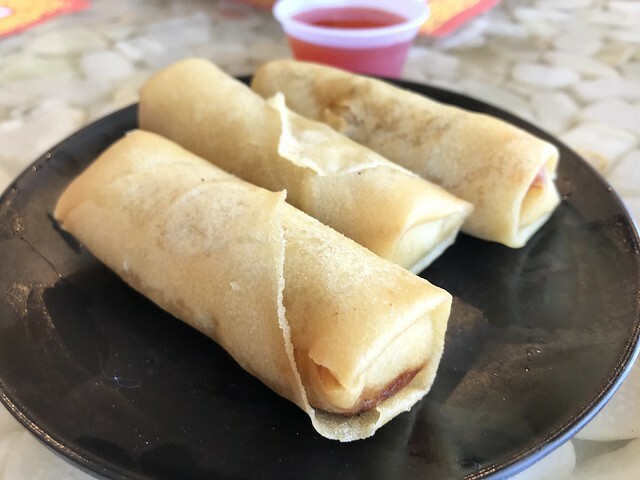 The spring rolls were light and crispy, a little lacking in filling, but did the trick. 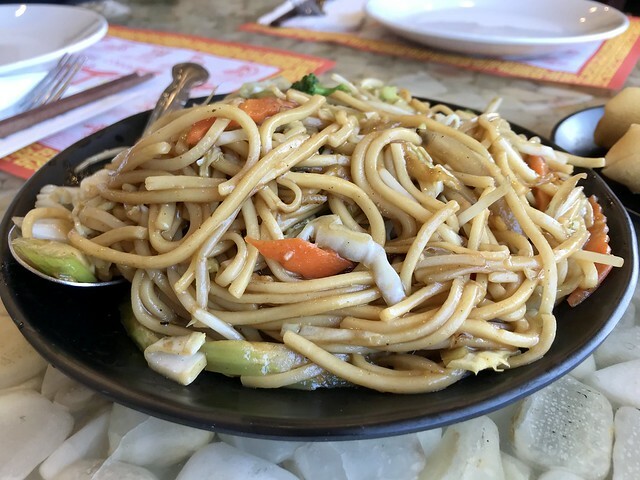 The vegetable chow mein, which we always ordered previously, had more pepper than usual making it more flavorful, and wasn’t too greasy. The har gow acquitted themselves quite nicely, an acceptable rendition. 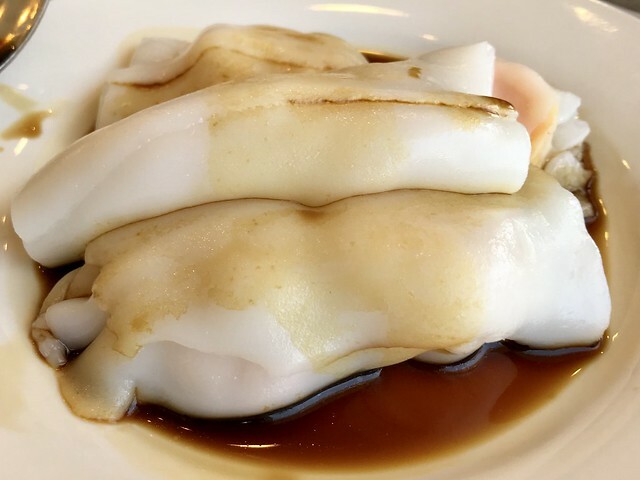 The dumplings had been steamed perfectly so the wrapper still maintained its shape and didn’t tear when picked up with chopsticks. Condiments, like hot mustard, aren’t automatically given to you, so if you want some you’ll have to ask for it. The shrimp rice noodles were decent, though the portion was super tiny. Each noodle was about 4-5 inches long and contained exactly two shrimp. 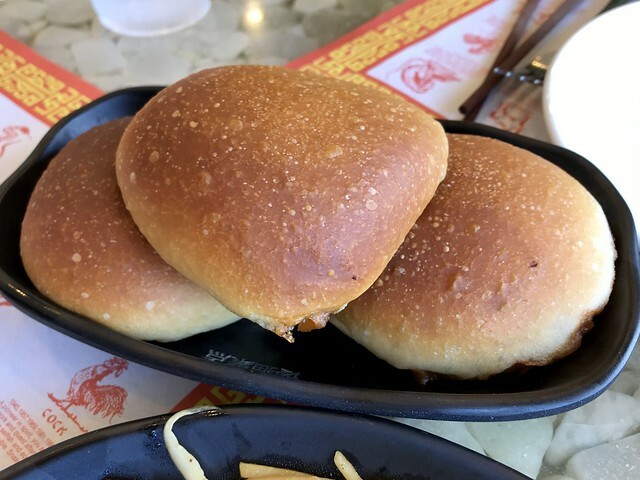 The baked BBQ pork buns were kind of a mess visually, somewhat flat and lacking that shiny sticky top. Texture-wise, the dough was a bit dry and reminded me of a Hawaiian sweet roll that had been sitting out for a couple of hours. While not the most attractive, they tasted fine. It will be interesting to see if Dim Sum House can survive (especially with that large menu) given that dim sum needs to have a high turnover to ensure freshness. 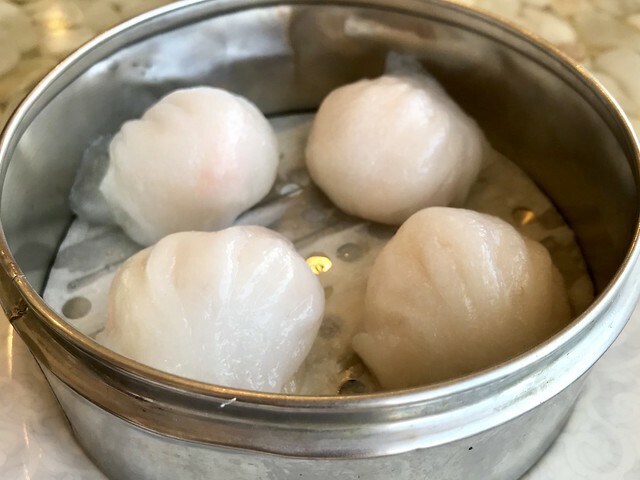 Dim Sum House in no way rivals the dim sum powerhouses in the San Gabriel Valley, but their food is perfectly respectable and will do the trick if you get a dim sum craving and don’t feel like driving to the SGV.